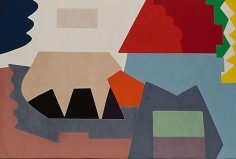 The gallery is pleased to present works from the 1970s by the celebrated abstract painter Shirley Jaffe. 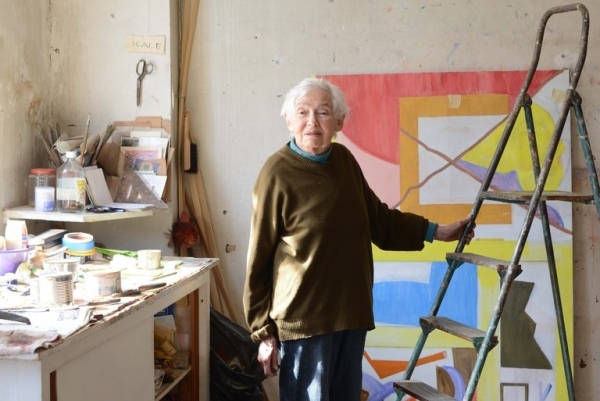 The artist, who turns 90 in October, has lived in Paris for over sixty years. 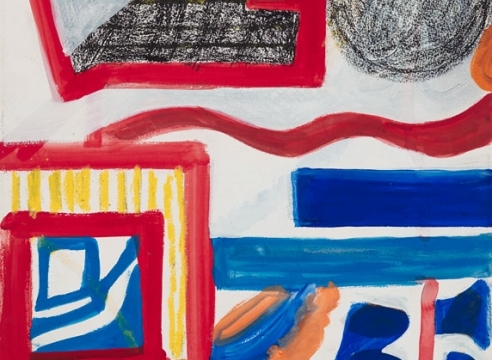 She has developed her own highly personal abstract language that is both classically modernist but also quirky and playful. The paintings are made up of vertical grids with curls, curves, and lines interrupting the geometry. 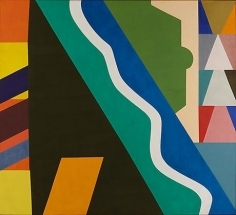 The artist arrived in Paris in 1949. 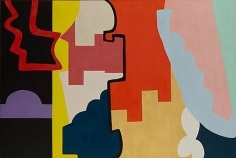 In the decades to follow Jaffe established herself among a circle of American artists living in Paris including Sam Francis, Ellsworth Kelly, and Joan Mitchell. Although she is greatly admired and has exhibited widely in Europe, she is far less known in the United States. Her first solo exhibition in New York at Artists Space in 1989 earned her greater exposure in the United States. 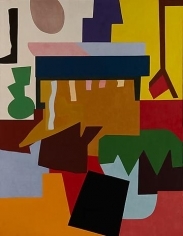 Jaffe’s work has been the subject of over twenty-five gallery exhibitions in Europe. 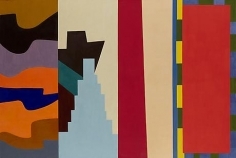 A twenty-year survey of her paintings was presented at Musee d’art Moderne Ceret in 1999. 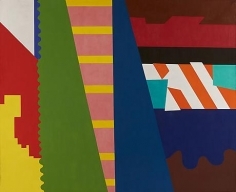 Her work is in the permanent collection of the Museum of Modern Art, the Albright-Knox Art Gallery, and the Centre Georges-Pompidou, among many others.